A great family sauce that makes chicken dinners easy. It&apos;s versatile, flavoursome and easy to use. This is a perfect family sauce with sweetness and a touch of flavoursome spices. I have now found a new favourite meal! It is pizza. Although I have made many pizzas over the years, the new combination that I have found works so well. 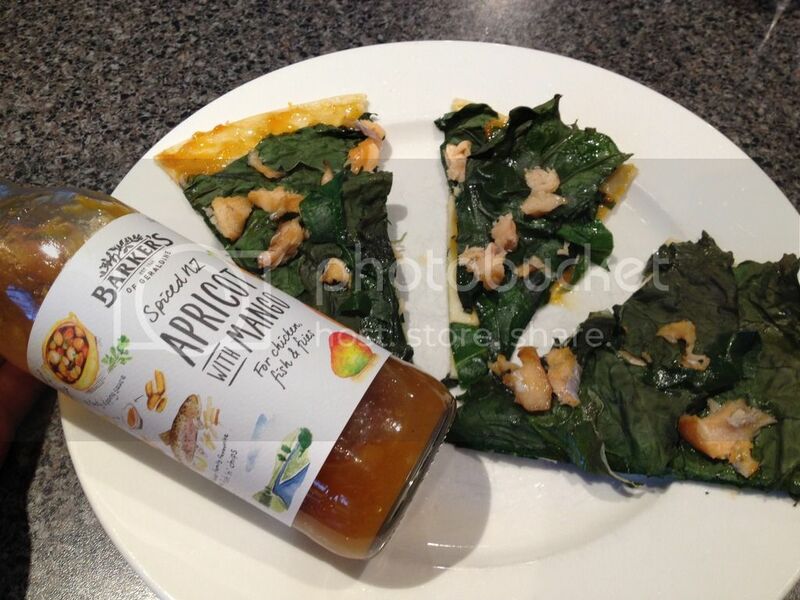 A week or two ago, my friend turned up with a pizza covered in a pile of raw spinach and some chunks of salmon. It wasn&apos;t like any pizza I had seen before and I thought that it looked pretty much like a pile of spinach rather than a pizza. What came out of the oven was quite different! The spinach cooked down to a thiner layer and looked very tempting. The flavour was amazing too and something that I wanted to replicate ASAP!! It turned out that, in addition to the spinach and salmon, she had used apricot sauce on top of a thin Turkish pizza base. 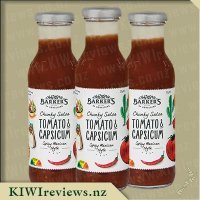 I remembered that I had seen an apricot Barker&apos;s of Geraldine sauce on the KIWIreviews website and I knew how much I have previously enjoyed the Barker&apos;s sauces, so I figured that it would be a great option for my pizza trial. The apricot sauce gives a bit more excitement to the taste by having being spiced and with mango added into the mix. When I used it with my version of the pizza, I was so happy as I was able to replicate my friend&apos;s pizza so easily and I knew that I could make it again and again. This was a tasty pizza and it was great to find that a pizza doesn&apos;t actually have to have cheese on it! This sauce, along with the other sauces in the Barker&apos;s of Geraldine range, is a product that I am happy to have in my fridge. The ingredients are simple and recognisable. 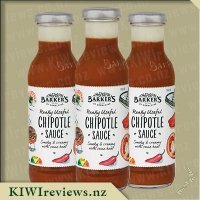 The price makes it perfect for an everyday sauce, however I think that the taste and quality is much better than some of the other &apos;everyday&apos;-type sauces on the market. Having had such great success with the first pizza, I went on play with other items on the pizza. The next one had Barker&apos;s of Geraldine Spiced NZ Apricot with Mango Sauce on the base, topped with little spoonfuls of cream cheese, roughly chopped pieces of spinach (lots of it! ), pulled pork mixed with some Barker&apos;s of Geraldine Nine Spice Barbecue Jerk Sauce and a little cheese on top. It was AMAZING!!! This a great way to get lots of veges into a pizza and to use up the spinach in the garden. I see from the suggestions on the side that this sauce works well as a dipping sauce. I think that that could well be my next thing to try with the sauce! The only issue with this sauce is that my son didn&apos;t like it at all and my daughter thought that it was too spicy. With regard to the spice, it isn&apos;t spicy as in hot, it is more of a spiced flavour like you would find in hot cross buns etc (I think that is the best way I can describe it). Regardless, it provided too much flavour for my kids, so I will have to stick with pretty plain sauces for the kids until their tastebuds develop a bit more. I think that I now need to create a special shelf in my fridge for all the Barker&apos;s of Gerladine sauces which my husband and I now see as an important part of our grocery shopping! 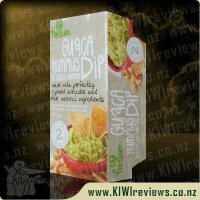 The Spiced NZ Apricot with Mango sauce will definitely be purchased again in our household! 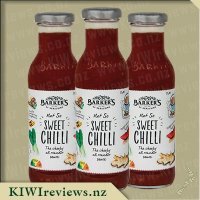 I&apos;m been lucky enough to review two other Barker&apos;s sauce flavours, both of them savoury rather than this one being more a sweet mix. I decided to check the Barker&apos;s website to see if they had any recipe ideas for the Spiced Apricot and Mango sauce and I was happy to see that they have a great recipe tab as well as recipes attached to each product. They suggested a yummy looking Apricot Chicken casserole but I had a whole chicken so I decided to use the sauce as a glaze/baste and roast the chicken. I slow roasted the meat whilst basting it throughout the process, and I even cut scores through the skin so the flavours of the apricot could really get into the meat. The spicy sweet smell that filled my kitchen soon had all members of my family members asking what we were having for tea because "that smells so yummy Mum". Finally the chicken was ready and it looked (and smelt) amazing, the glaze had browned and become all sticky and sweet the chicken was succulent and mouth watering. We all loved the chicken, the apricot mango sauce really set it apart from any marinade or basting I had done with my husband commenting "you got to make this again!" As I still half a bottle left I decided to make wraps a couple nights later with fresh iceberg lettuce, beef strips, tomatoes, cucumber and cheese, I spread the sauce onto the wrap and the dribbled a few drops across all the fillings before wrapping. The sauce really made the wrap interesting, not too sweet and it was just the right mix with the beef. I would definitely recommend this sauce especially to families who are looking for a fresh taste to add to their normal meals without too much fuss or cost. So quick, easy and versatile, I have already added it to my next shopping list! I was super excited to receive the Apricot and Mango Barkers sauce to review. I have tried a couple of others in the range but not this flavour. I decided to make chicken and salad tortilla wraps just so that I had an excuse to test the sauce out, man it was yummy the kids weren&apos;t too keen on it but my husband and myself really loved it. 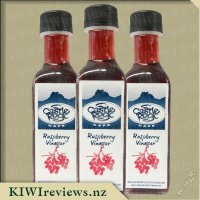 I can see this sauce being very versatile even reading some of the other reviews it has given me inspiration to try it on pizzas, as a dipping sauce and in stir-fries. I&apos;ve tried a few different Apricot sauces but none with the addition of Mango and this made it a lot more unique and delicious. I do wish however that they would make the bottles have some sort of pourer or make it as a squirt bottle and it&apos;s really easy to pour too much out especially if the kids got their hands on it. I have come to enjoy the Barkers range more and more as they bring a bit of uniqueness with their flavour combinations to stand out from the others. I will definitely buy this again and recommend to friends and at $3.90 retail I believe this is very reasonable and not overly priced compared to other brands. 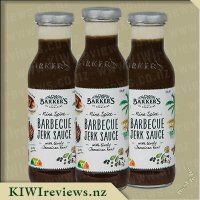 I love the Barkers range of sauces and I have more of their sauces in my fridge than I care to admit! They are always so tasty and easy to use. Their are so many different uses for each one and the price point is great for the amount of uses. 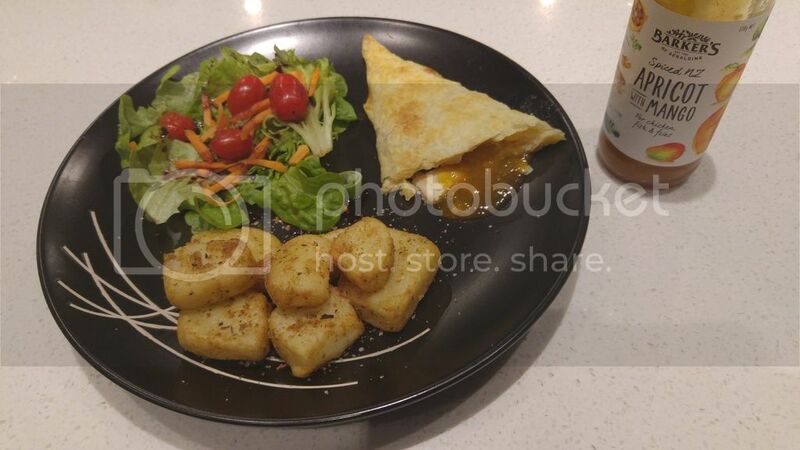 When I got the Apricot and mango sauce to review I was keen to try it out. I decided that I was going to make chicken filo parcels with it. I got my pastry ready, added some diced up chicken, a bit of cream cheese and a good dollop of the sauce. The results was a very tasty parcel, the sauce has a great balance of sweetness and just a touch of spice. Straight away I started thinking of different ways I could use it! So far we have had it as a dipping sauce for homemade chicken bites, in my lunchtime wrap with a bit of chicken and some salad and I have also used it as a stir fry sauce. I think as a stir fry sauce has been my favourite, it made such a quick and easy dinner. I simply browned some chicken, threw in some vegetables and topped it off with a decent amount of sauce. I then served it up on rice for which would have to be one of the tastiest stir fries ever. The sauce is on this weeks shopping list as my husband has already requested the stir fry again. 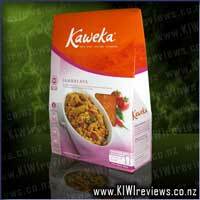 I have been buying Barkers of Geraldine products for a while now after finding out about them through KIWIreviews. I love the jams and chutneys so was excited about getting to try this sauce out. I love apricot sauce especially with chicken and have been loving having this sauce to test out with a variety of dishes. With the addition of mango and spices this adds a bit of excitement to the things you eat and is a bit more special than a plain apricot sauce. My kids have been using this sauce as a dipping sauce with nuggets and chips and absolutely loving it. They are usually pretty fussy and don&apos;t go too far past your ordinary tomato ketchup but with the sweetness of this they have been absolutely loving it. I haven&apos;t been able to resist sneaking a nugget or two dipped into this sauce too even if it does break the diet haha. It has the perfect amount of spice so as to make it not too sweet for a savoury dish but you can tell for sure it is made with real apricot as it is very fruity. I made pizzas at home with this sauce and some chicken and cream cheese. The pizzas were to die for and are definitely going to appear on the menu again, so I will be buying more of this yummy sauce for that occasion. I was impressed with this sauce and along with others I have tried in the new range I will be buying more in the future. I am a big fan of sauces and chutneys that can help the meals I prepare taste even better. 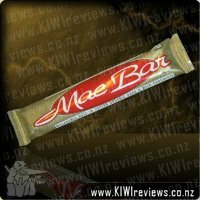 When I saw this one up for review I was keen to give it a go. Once my review parcel arrived I was excited to find this Spiced Apricot with Mango inside, along with the Plum. Trying to decide what to have it on first I decided to cook up some chicken tenders to put inside wraps for lunch the next day. Before heading to work I got the wraps made up - a mini tortilla, salad greens, some dry coleslaw and then came the sauce. I opened up the bottle and wanting to know what it tasted like dipped my finger into the lid and tried some. It was amazing! Sweet, a little bit spicy but all in all pretty yummy! I attempted to drizzle a little bit on my wrap - just be careful if you are only wanting a little bit as the sauce can come quickly! The consistency of the sauce is perfect - it&apos;s not running, but its also not too thick. It is nice and smooth and absolutely delicious! I was hanging out for lunch to eat my chicken wrap and it was great - I can&apos;t wait to have the same again tomorrow! There are many things I think this sauce would be perfect for - salads (I have never really found a salad dressing that I enjoy), pizzas, stir fries, as a dipping sauce - many more ideas I&apos;m sure. I did notice the bottle had a website mentioned to find more recipes so I will have to make sure to check it out to see if there are some other things I wouldn&apos;t think of. I would recommend this sauce to anyone who enjoys meat and fruit combinations - I know this isn&apos;t anyone but everyone should give it a try! I also think the price is very reasonable - using a small amount like I did today the sauce would last for some time. I love chutneys and relishes and I can&apos;t help but keep buying more and more and the top shelf of my fridge reflects this! 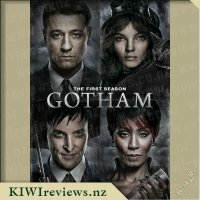 But even though I already have heaps, I was still temped by this on offer to review and I have to say that I&apos;m glad that I got to add this to my collection. First up I just knew I had to try a pizza as both my husband and I love apricot chicken pizzas. With this as the base sauce and piled high with smoked chicken, mushrooms and capsicum, and topped with brie cheese, it was an absolute delight - and something I&apos;ll continue to make again and again. Then I put on my thinking cap to see what else I could do with it. There&apos;s some great suggestions on the bottle (which I think is a fantastic idea) but I decided to branch out and try my own idea. As I had a rolled roast chicken to use for dinner, I tried basting it in this sauce, with some salt rubbed in with it. It turned out to give a lovely mild but beautiful fruity flavour and worked well. I also tried adding some to the gravy but I wasn&apos;t so sold on this idea! I used to wonder why on earth people would want to serve fruit with a savoury meal, but I&apos;m glad that opinion has been turned around on that one, or I would never have ventured into trying this delicious sauce! To be honest, I&apos;ll probably use it mostly on pizzas going forward, but I&apos;ll certainly make sure I&apos;ve got some on hand for this, as pizza is a regular meal in our house and it really does elevate it from the usual tomato based topping. I&apos;ve never really gotten chicken with apricot sauces and similar but felt what better perfect time to step out of ones comfort zone than when an item comes up for review. 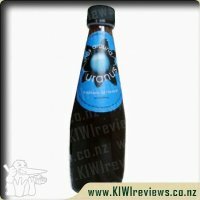 I love the label design with these products, really catches my eye and clearly shows what you can use it for, plus a little imagery of where the key ingredients come from, and I love that it is a New Zealand product. I figured apricots and mangoes would be a fab combination, it usually is, but I wasn&apos;t sure that garlic and spices could join in this relationship well. 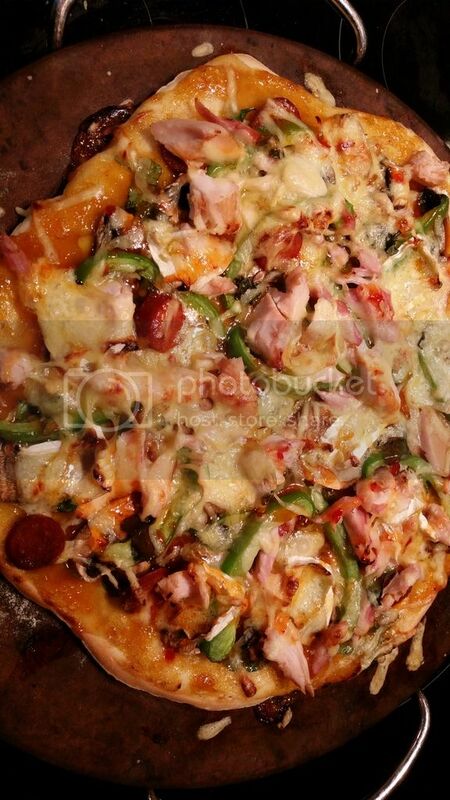 My first trial with this was to swirl a little on my ham and cheese pizza and it added a nice tinge of flavour with a bit of a kick, nice but not something that I would make again. We then had taco boat night so I decided to use this in place of salsa, having orange on my plate instead of red I was a little reluctant to take that first bite, but I mustered up the courage and found it tasted rather nice, I would just need to work on my combination of ingredients. I then decided to step way off base and make this into something for a dessert... I whipped up some cream, added a little icing sugar and then some of this sauce, once combined I pit a big dollop next to some cake. My eldest had a taste and really liked it, I liked it, though it needs to be tweaked a little and my mother thought it was rather yum, it starts off sweet, then a kick of spice and then a mellow sweetness again. Its not a sauce that I will get often but I can see one bottle going a long way. I have to say I am loving these Barker&apos;s Sauces they really help take meals to another level and are so easy to use. I find the labels extremely cute especially the various options they give for ways to use the sauce in dishes. It is inspirational and great for those moments when you have no idea what to cook. Thankfully when it comes to Apricot with Mango I do not have an issue with how to use it as I have so many possible dishes up my sleeve. Such a fantastic combination. Our first time using it we were having wraps for dinner and I used to marinate some left over chicken we had. I just put in fry pan after heating up the onions and mushrooms and let it sit in the sauce until it was all heated. Maybe I didn&apos;t use enough sauce or maybe it was because everything else had so much flavour but I was having trouble identifing the flavour to the meat. Tonight I used the rest of the bottle on chicken that I roasted in the oven and just kept basting the chicken so that the flavour stayed on the chicken. Then when dishing up poured any remaining sauce on to the chicken and everyone raved about it and wanted more. I was concerned my youngest was going to complain that it was too spicy as that is what the label said but instead she declared it was her favourite way to have chicken and insists on having it this way from now on. Even my husband commented about how yummy the sauce was. I have to admit with the uses for this sauce it will definitely be in the pantry/fridge from now on. Its easy to use, the taste is yummy (when you get the combination right) and I think the price is awesome. Can definitely see me using on future chicken and fish dishes. 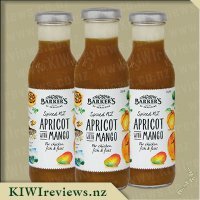 Apricot is a flavour enjoyed by my entire family so I was delighted to be chosen to review the Barkers spiced NZ Apricot with Mango Sauce. The first recipe I tried was a homemade pizza with chicken, spinach, red onion, cheese and the sauce as a base and a swirl on top. It was divine and I was pleasantly pleased that the sauce was not spicy hot. You could definitely taste thatr spices were in the sauce but without the burning sensation which is perfect for me and also for the kids! The next night I marinated chicken pieces in the sauce served on rice served with steamed vegatables, this was another delightful tasting meal. The mango and the apricot really complement each other. The sauce is very affordable at $3.90. This was enough to make two meals for a family of four. The bottle is fully recyclable being glass and re-usable if you are into making your own sauces or purees. The label is eye catching and informative. The kids thoroughly enjoyed it and have been asking for the apricot and mango pizzas ever since so I think this will become another favourite meal and a staple on our grocery list. WOW this is great, when I opened the bottle in which it is a easy to open bottle, I tried a bit on my finger and was sold straight away. It lives up to the name and you can clearly taste the apricot and mango within it. I also love that it is gluten free. My first thought was straight away what am I going to use this with. Being a ex chef I love cooking a creating yummy meals. I decided to make a apricot and mango creamy pasta for dinner last night, where I made a sauce with this. I added to the frying pan, onion and fried it off then I added some chicken and cooked it, I also added a good dash of the sauce, prob about half a cup if I was to have measured it, I then added the cream and gave it a sttir and let it reduce. The finish sauce was amazing, the flavours when heated up were better then when it was cold. I am sold on this and I can see myself buying it again. I also tried something different this morning where I added some to my morning smoothie. I always make a banana and mixed berry smoothie every morning and I thought I would just try this, so I added about 1 table spoon and I really enjoyed the extra new flavour twist that it presented in my smoothie. It was not overpowering but I had the subtle taste of it which was yum and a nice after taste as well. I will be recommending this sauce to friends to try , I think its great and I can tell it will go nice with my chicken meals and also fish. I eat a lot of plain chicken so to have a little something on the side is great. I love the taste of both apricots and mangoes and the flavour combination of the 2 of them together was a delicious taste sensation with the flavours complementing each other perfectly, though this is a sauce with spices in it, it was certainly not a hot spicy sauce which I was very pleased about, but was more rather a fruit sauce jazzed up with some nice hints of spices that you would perhaps use in sweet baked items. My whole family loved this sauce, although Miss 3 was at first a little put off by the fact that it was orange (as I encourage her to not eat citrus due to them flaring up her eczema) however once she got past this she was most excited to finally have a sauce which she could actually eat and that she liked, she loved being able to dunk her chips into this and enjoyed it on her quesadilla along with some cheese and salami. My partner and I also enjoyed this sauce which we had on tortilla wraps with some lettuce, cheese, beetroot, tomato, and crumbed chicken, the flavours worked great with these ingredients and I loved that the sauce was a little bit chunky rather than smooth as it was nice to get some real fruity pieces sometimes. With our wraps we served a side of chips and so we also used the sauce as a dip which was also lovely. I could see this sauce working well on a pizza, or as a dip for chicken nuggets as an alternative to sweet and sour sauce. I found the flavour of the sauce sweeter than that of other apricot sauces that I have tried in the past, which I am guessing is a result of this containing mango which I find to be a relatively sweet fruit when served on it&apos;s own, for the meals in which I prepared using this sauce this didn&apos;t pose a problem, however the sweetness may not work quite so well in some other dishes. The bottle the sauce comes in is eye catching and I love how they have several serving suggestions listed and how each one has a cute little illustration of the suggested dish. 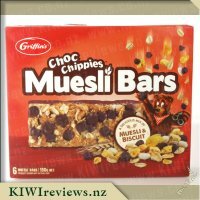 Made in New Zealand it&apos;s great to know you are supporting a New Zealand company when you buy this, and being gluten free it is suitable for many dietary needs which is important in this day and age. 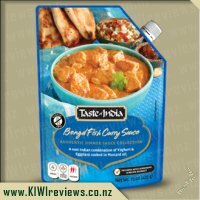 Overall a yummy sauces that is quite versatile which I would consider buying again, if not for myself then definitely for Miss 3. This is as hot as it can be before flavour loss starts. Flavour is the Sids Sauce priority. • Delicious in casseroles, stews & hotpots. Great as a BBQ marinade, baste (mop) or table sauce. Sprinkle over grated cheese on toast then grill.